I love my crockpot and this is a perfect version for Taco Tuesday and quick to assemble. Season with salt, pepper, cumin, chili powder and garlic powder. When ready to serve, shred chicken with forks (in crockpot). 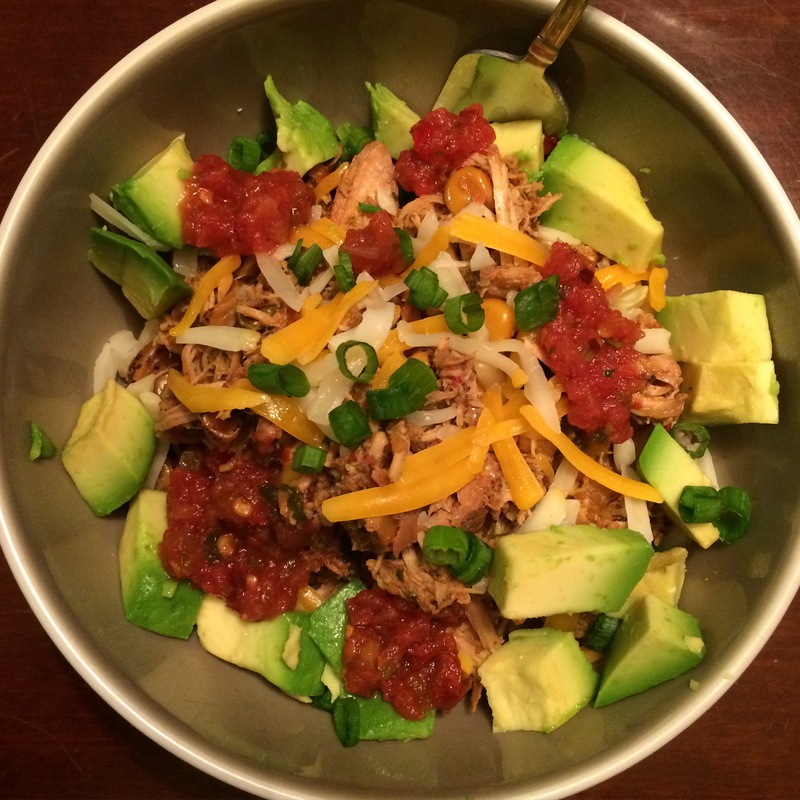 I made my bowls with brown rice, the chicken mixture, cheese, avocado, salsa and more green onions. But can also be a great filling for tacos, burritos or enchiladas.